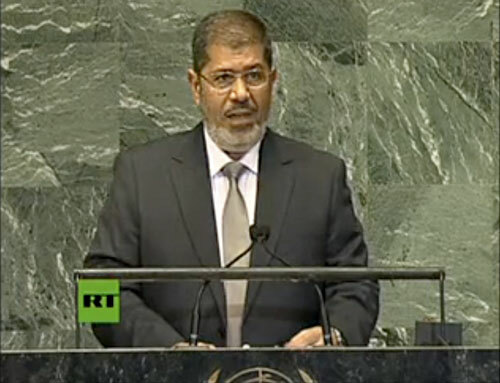 Egyptian President Mohammed Morsi makes his debut speech at the United Nations UN General Assembly's annual ministerial meeting. Photo: YouTube, Russia Today. Journalist Mona Eltahawy defaces an American Freedom Defense Initiative ad in the New York subway and is subsequently arrested. Video: New York Post.